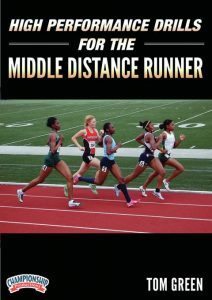 Many highly successful coaches have argued that the middle distance events are the most difficult to prepare athletes for. They may be right. Here are some tips for putting together a 800 meter race plan. Five different Minnesota State Champions in the 800 and 1600 since 1996. This clip, while a little long has some good information and is worth watching. Training Model for the High School Middle Distance (800-1600). The YouTube video below has audio, so please make sure that your sound is turned up. In this, video Coach Christensen discusses some unique characteristics of the 800 meter. He states that the 800 meter is (based on research) 50% aerobic and 50% anaerobic and that it requires an expenditure of only 90 calories (approximately 3/4 of a banana). You simply have to decide when and where to use them in the race. He also discusses the 3 type of runners that can be successful in this event. He states that the top runners usually run the first 400 2-3 seconds faster than the second and gives you a easy formula for determining your splits to reach your target time. These splits are important as they will help to develop you race plan. Coach Christensen divides the race into 7 zones and provides items to consider and strategies for each zone. In the clip below Tony Veney, Head Track Coach at Ventura College, talks about the demands of 400 meter training and shares a simple formula that he uses to determine the pace at which to train his runners. He begins with by explaining that you must train all of the systems that a 400 meter runner will experience. These include: Speed power, Seed endurance, Lactate and Speed maintenance. In order to train a 400 meter runner he states that you will have to “burn” them sometimes. You will have to get them running multiple 100’s, 200’s or 300’s at race pace with very little rest. Fourth 10o – Add 9% to the third 100 time. These are just approximations, but it is a simple way to figure out how fast you should be running. You can of course add the first two 100’s to get the first 200 meter time. The same can also be done for the second 200 meter.